DNA Diagnostic and Genetic Center is a leading AABB accredited DNA test center in India has launched DNA Test in Dindigul Tamilnadu . With nearly 400 collection centers, we have launched a new DNA test center in Dindigul Tamilnadu. We provide reliable and accurate DNA tests across the world. We guarantee maximum accuracy with the latest 20+ markers test. We are the only testing laboratory that achieved 17 perfect ratings in quality inspections by accreditation bodies with an assurance of 100% testing record. We provide a broad range of DNA test in Dindigul Tamilnadu such as paternity test, maternity DNA test, paternity trio test, siblingship DNA test, grandparentage DNA test, paternal lineage (YSTR) comparison DNA test, maternal relative (mtDNA) comparison DNA test, relationship reconstruction DNA test, prenatal paternity test, immigration DNA test and ancestry DNA test. Ancestry DNA test is the latest DNA test service that uses the latest technology of autosomal testing to discover your family roots. It syndicates advanced science of DNA with the largest family history source to foresee one’s genetic ethnicity and helps to connect with a distant connection of family members. It maps genetic ethnicity going back to multiple generations to identify your geological origin such as from what region India or Asia, one is related. 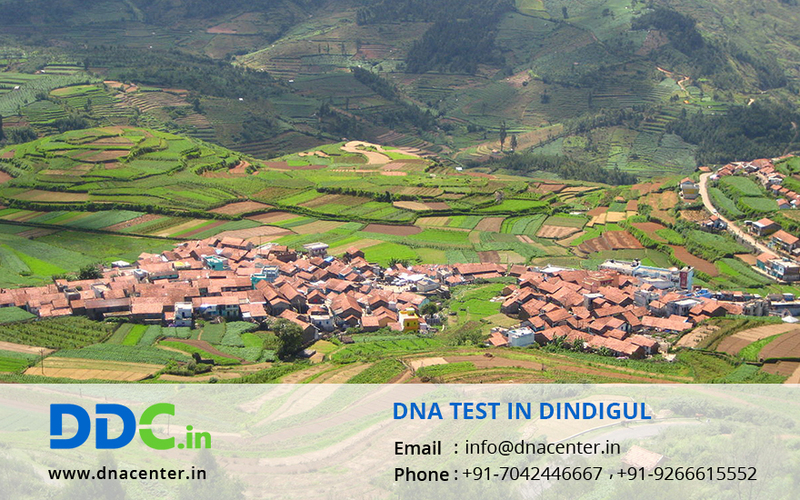 We provide all DNA tests in Dindigul, Tamilnadu collection center with quick turnaround time and accurate result. FEEL FREE TO DROP US A LINE. OUR EXECUTIVE WILL CONTACT YOU.